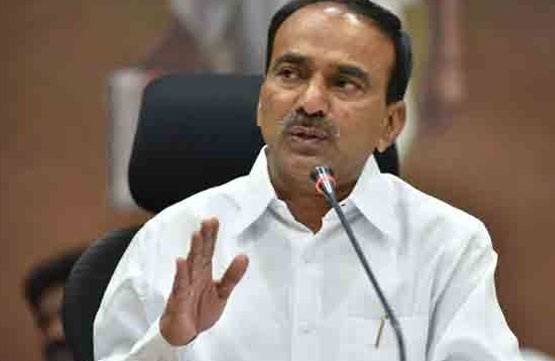 If we bring petrol under the GST, we will strongly oppose it, Telangana Finance Minister Rajendra alleged that the center is trying to disrupt the rights of the states. The minister said it will strongly oppose the petrol products being brought under the goods service tax (GST). Already, 52 per cent of VAT has gone into the GST. Only 48 per cent of the VAT is going to the state through petrol, diesel and alcohol. He said that the attempt to carry the original petrol products under the GST is not good. Demanding to cut taxes on the central government to burden the people. To reduce the revenue to the states, the Center is not inclined to keep the states in their grip. There by accusing the Center of attempting to distort the rights of states. He urged the Center to increase the share of 42 per cent stake by the 15th Finance Commission and allow the States to make loans.